The Backbencher – Should the fate of Syria rest on the West? The Arab-Spring, one of the most revolutionary times the middle-east has seen for centuries. Leaders fought off their position of ‘solid’ power by the people of the States they have ruled for tens of years. This – was history in the making. The people did not know how to react, they had never tasted the sweet flavour of ‘democracy’, never voted, never had a voice, and never had control over what will ultimately decide their future. But, nor did the western-world know how to react. With the eurozone melting under the feet ofGreeceandSpain, and theUnited Statesfacing the largest debt it has ever seen the west could not cope with this unexpected political and physical outbreak in the middle-east. We saw first Tunisia fall, then Egypt and finally Libya, all because of the fundamental factors that they either offered something to the west or/and their people were able to cripple the state forces. In Libyawe saw bombing from Franceand the United Kingdom, backing the rebel fighters in their cause to over turn Colonel Gaddafi from over 40 years dictating Libya. This was a bold statement from the west which showed that yes they wanted to promote democracy, and they could offer aid. This did not draw a line in the sand, as it were. It opened the door to all anti-dictatorship uprisings, such asSyria. Syriais the next claimant for foreign aid from the West. The rebels are finding it a lot more difficult to break down the state forces, led by Bashar al-Assad. The rebels’ army is unequipped and under-trained, but these are not fundamental reasons for the West, such as theUnited Kingdom, to intervene. There are a number of issues which determine why the fate ofSyriashould not rest on the West, end of. Firstly, who would the West back? Not only do the rebels not have a system in place which would promote prosperity, freedom and democracy but it does not have the education or knowledge too. The people running the rebels are not the Oxfordeducated leaders of the United Kingdom. 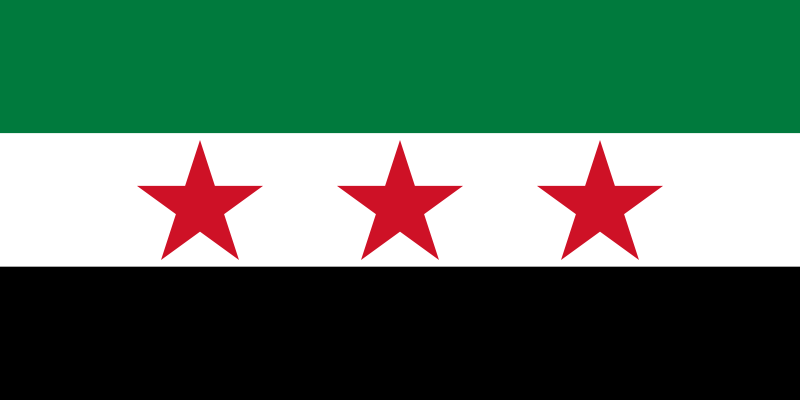 Backing the rebels to take power would most likely force Syriainto a corrupt state, which is under-developing and being damaged economically and socially. Until the rebel forces can show they have a system in place to rival the modern democracies of the western-world, they are a liability. Also, the rebels are too untrustworthy. They are being heavily backed by the Muslim Brotherhood, which has been linked to terrorism (http://www.nationalterroralert.com/2012/09/11/egyptian-iranian-intelligence-meeting-prompts-fears-of-a-new-middle-east-terror-axis/). This is not what any western country wants – to be found to promote the same institutions which they spend billions on a defending against. The backing of the rebels withinSyria makes them a toxic future threat, and instead of thinking about intervening and aiding them, we should be investigating their whole institution. Next, can the West afford to allow the fate of Syriato fall on them? The United Kingdomis still recovering from the deepest and biggest double-dip recession it has seen in the modern world. Cuts throughout the public services, including the defence (http://www.guardian.co.uk/uk/2012/jul/05/thousands-soldiers-compulsory-redundancy), showing that theUnited Kingdom cannot afford to intervene inSyria, and that staying out would be (economic wise) the sound action to take. This is also shown in theUnited States, which is facing a fiscal cliff after the dramatic increase in spending by Barack Obama has forced theUS debt to reach $16 trillion. In turn, neither theUnited States nor theUnited Kingdom can afford to intervene. Their economy’s are in such a fragile state that this would upset the markets, forcing bond yields to increase and for both countries (especially the Untied Sates) servicing the debt will be impossible. The eurozone is another example of why the West will can not, logically, be able to intervene. For example, the youth unemployment rate in Greece has reached as staggering 55.65% in July 2012. Does this show the West being able to allow the fate ofSyria to be rested on the western-societies? No. The economic crisis across the West and of individual countries are of far more importance that the Syrian uprising, and rightly so. Also, intervening inSyria, and allowing its fate to fall on the West, would unleash a political ‘Pandora Box’ in the West and inSyria. It does not set a limit as to what the West are able to offer, and does not show to other states that they can’t be aided by the West. Instead it shows that the West, like inIraqandLibya, will intervene and will do so with relative ease. This can lead to an increase in revolutions, crimpling the economies of the West and in the middle-east, for example. This ‘Pandora Box’ will not benefit western politics too. Governments will be tied into aiding other countries, for example militarily, and not aiding the people of their own country. This ‘Pandora Box’ is deadly, and would be opened wide by intervening inSyria. My last point is – will this actually benefit anyone? If the West intervened inSyriawould it guarantee democracy, or the economy to be more prosperous? The answer is, we do not 100% know. But can we afford the risk, we do know the answer to that – and no, we cannot afford it at all. Look atIraq, we intervened in 2003 and peace has not been restored. Some could say we, the West, have made things worse. So with that in mind, I do not believe resting the fate ofSyriaon the West will benefit anyone, the West or the people ofSyria. It could lead them into a terror state, one which is against the West – such asIraq. In conclusion, times are hard, but we have no international right to take on the fate ofSyria, and nor should we. We, as the West, do not have the foundations in place, defence wise or politically wise, to make a successful intervention. We would be gambling the lives of Syrians and Westerners for the sake of a war which is not in our direct interest to the West. This gamble is what no one wants. Gambling with one’s life is like playing with the devil, and we all know what happens when that occurs!